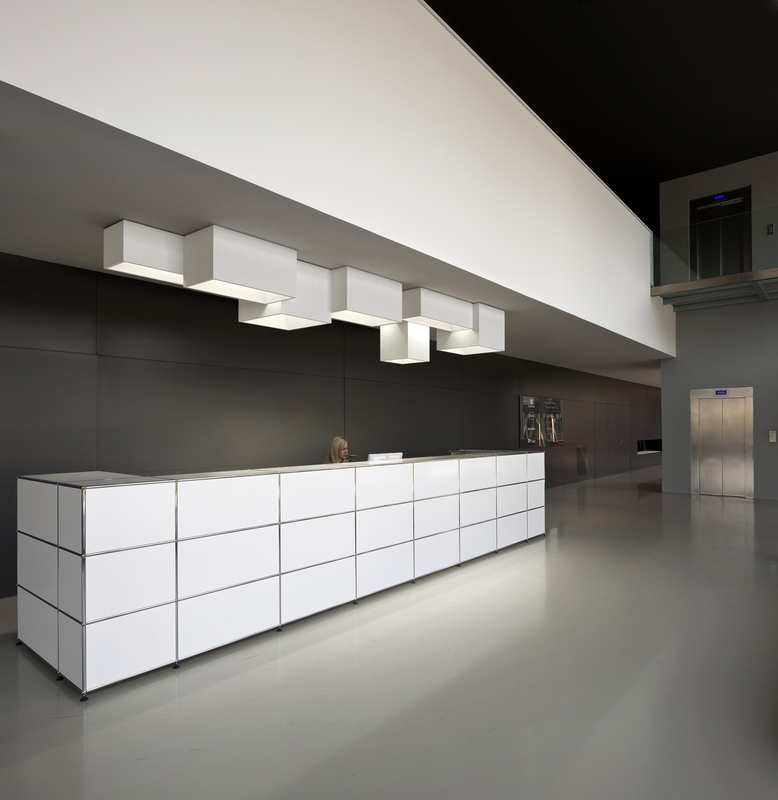 This newest modular ceiling fixture from Vibia is definitely one of the most stand out fixtures of 2012. Envisioning lighting that is both light source and art installation is becoming a common theme in Vibia’s new product line. Designed by Ramone Esteve, this voluminous fixture consists of four modules in different sizes and heights that connect to one another to offer a wide range of geometries. Brilliantly enough, the R&D team at Vibia have kept in mind the difficulties of managing multiple power sources and junction boxes and have engineered the Link to require only one electrical connection to power up to 8 Link sections per configuration. On top of that, they’ve made it compatible with dimmable, energy efficient fluorescent lamping, which makes its use in residential environments all the more appealing. The Link also creatively plays with the trajectories of light that emit from each piece, depending on your configuration, allowing you to create indirect ambient lighting. The idea of having such an architectural piece be so totally customizable actively involves us in designing the piece for ourselves, which makes this piece all the more interesting. Click below for more photos on the charcoal grey or matte lacquer white modular Link system.